1 MΩ R-VB1ML-SP Packaging Dimensions 1.201 in. x 1.185 in. x 0.97 in. 1 MΩ R-VB1ML-SP Weight 0.034 lbs. 250 kΩ R-VB-250KL-SP Body Depth 0.45 in. 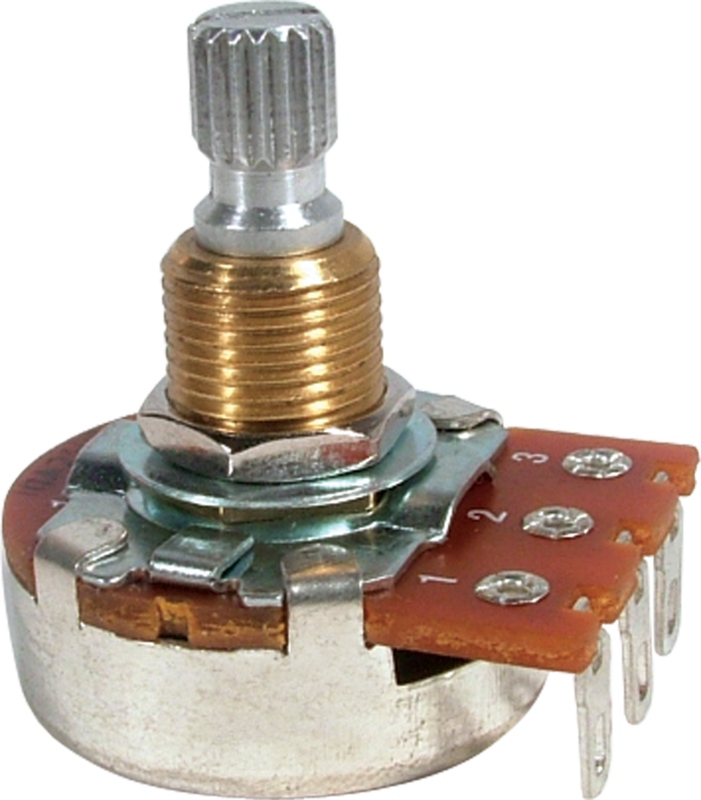 250 kΩ R-VB-250KL-SP Body Diameter 0.95 in. 250 kΩ R-VB-250KL-SP Bushing Length 0.38 in. 250 kΩ R-VB-250KL-SP Packaging Dimensions 1.192 in. x 1.126 in. x 0.964 in. 250 kΩ R-VB-250KL-SP Shaft Diameter 0.235 in. 250 kΩ R-VB-250KL-SP Shaft Length 0.38 in. 250 kΩ R-VB-250KL-SP Shaft Rotation 300 deg. 250 kΩ R-VB-250KL-SP U.S. Thread Major Diameter 0.375 in. 250 kΩ R-VB-250KL-SP U.S. Thread Pitch 32 tpi. 250 kΩ R-VB-250KL-SP Weight 0.03 lbs. 300 kΩ R-VB-300KL-SP Body Depth 0.45 in. 300 kΩ R-VB-300KL-SP Body Diameter 0.95 in. 300 kΩ R-VB-300KL-SP Bushing Length 0.38 in. 300 kΩ R-VB-300KL-SP Packaging Dimensions 0.912 in. x 1.083 in. x 1.168 in. 300 kΩ R-VB-300KL-SP Shaft Diameter 0.235 in. 300 kΩ R-VB-300KL-SP Shaft Length 0.38 in. 300 kΩ R-VB-300KL-SP Shaft Rotation 300 deg. 300 kΩ R-VB-300KL-SP U.S. Thread Major Diameter 0.375 in. 300 kΩ R-VB-300KL-SP U.S. Thread Pitch 32 tpi. 300 kΩ R-VB-300KL-SP Weight 0.03 lbs. 500 kΩ R-VB-500KL-SP Body Depth 0.45 in. 500 kΩ R-VB-500KL-SP Body Diameter 0.95 in. 500 kΩ R-VB-500KL-SP Bushing Length 0.38 in. 500 kΩ R-VB-500KL-SP Packaging Dimensions 0.928 in. x 1.081 in. x 1.163 in. 500 kΩ R-VB-500KL-SP Shaft Diameter 0.235 in. 500 kΩ R-VB-500KL-SP Shaft Length 0.38 in. 500 kΩ R-VB-500KL-SP Shaft Rotation 300 deg. 500 kΩ R-VB-500KL-SP U.S. Thread Major Diameter 0.375 in. 500 kΩ R-VB-500KL-SP U.S. Thread Pitch 32 tpi. 500 kΩ R-VB-500KL-SP Weight 0.03 lbs. Hi, this will work as a volume pot for your guitar. Make sure that you need a 24mm sized pot with a knurled shaft. 1 answers how do i know what pots are linear and audio taper? The linear pots will have a B and the audio taper version of this pot will have an A. Excellent Pot. Upgraded stock,cheap Chinese pots.A huge difference in tone.